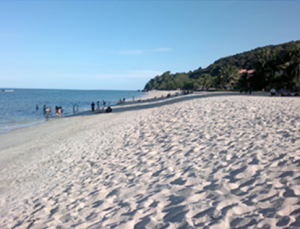 The PEM System was used to drain a beach in Malaysia located in a pocket bay in combination with beach nourishment. The lifetime of traditional beach nourishment on the location had previously been 3-4 years. The beach was pre-drained with PEM and sand was added. Another set of PEMs were installed on the nourished beach. Following a packing and stabilization period of 3-4 months during which the beach reached an equilibrium profile, the beach has remained stable. To see ICCE Paper from the Project click here.